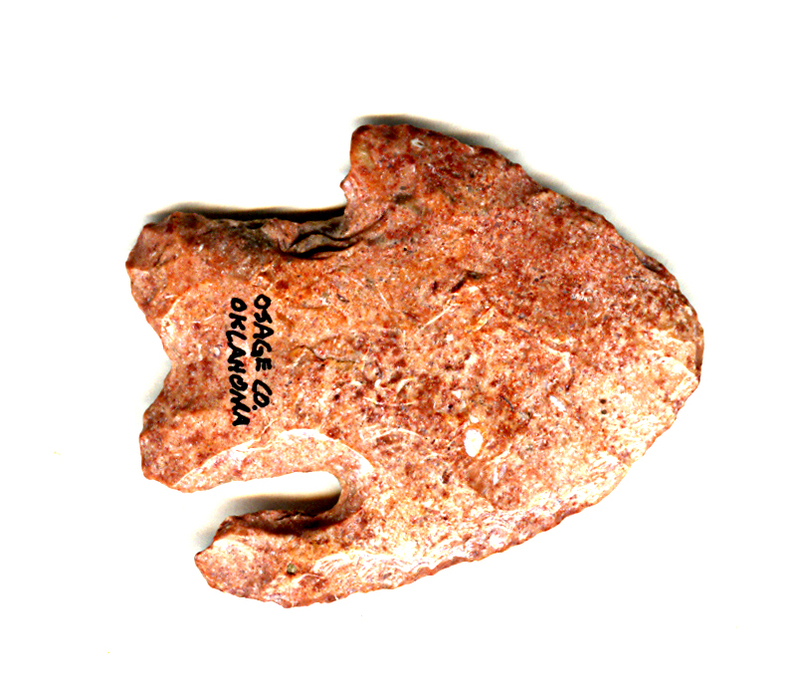 A Small To Medium Size, Visibly Aged & Heavily Use Sharpened, Nicely Made, Calf Creek Point That Exhibits Surface Sheen And Stone Aging Coloration Patination, Aging In The Basal Stem Notches, Correct Blade Sharpening Use Reduction, Heavy Surface River Polish, Correct Style Blade Flaking, Correct Material And Manufacture for The Area Found. Ex-Tony Stoddard Collection. This Colorful Example Has Repeated Blade Sharpening, Reducing The Length And Width Eliminating One Tang! Includes A Ken Partain Certificate Of Authenticity!